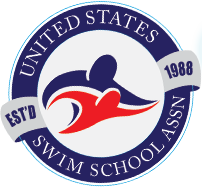 Producing confident swimmers for over 20 years! Our specially designed Parent and Tot program is a fun way to build your child’s confidence in the water! This 6-level program is both fun and challenging and will help develop the five main swimming strokes that support aquatic safety. This 10-level program for children ages six and older is both fun and challenging and will help swimmers develop the five main swimming strokes that support aquatic safety in, on, and around the water. Find out what teaching over 6,000 students per week in learn-to-swim programs looks like.